It's best to err on the side of planting late, rather than too early. 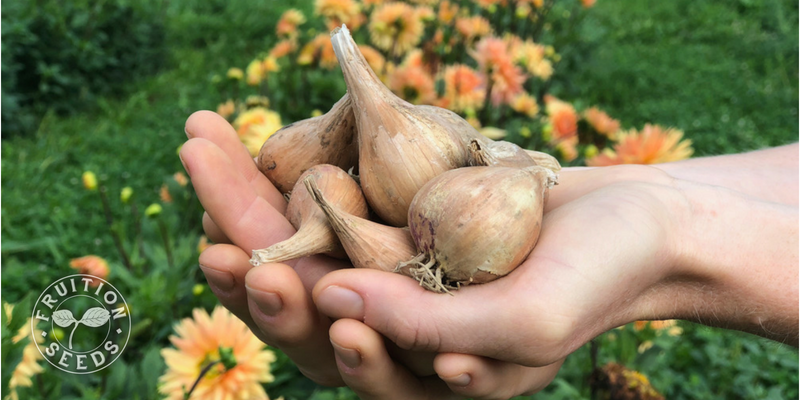 We till the soil for our garlic bed as close to planting as possible, which can be tricky in the cool, wet soils of autumn. Before we work the soil, we add compost as well as Neptune's Harvest Lobster & Crab meal, acting as slow-release full-spectrum fertilizer. Biggest Mistake: Not enough fertility added or too much nitrogen added. Why? Garlic is a 'heavy feeder,' so it will not grow large if nutrients are lacking. If its fertility is too nitrogen-rich, however, garlic will focus on vegetative growth, resulting in large leaves above small bulbs. Excess nitrogen also decreases storage life. Easy Solution: Add rich, well-balanced compost as you prepare your soil, including lobster and crab meal, if you can. Spread and incorporate soil amendments prior to planting. We add compost as well as slow-release, organic crab and lobster meal from Neptune's Harvest in Massachusetts. First things first! Break each bulb into individual cloves and plant each clove tip up and root plate down. Common Mistake: Planting cloves upside down. Why? Garlic will only grow roots and shoots from specific places in its clove. When planted upside down, the shoot will go down and force it's way to the sky despite, making way more work for your garlic to thrive. This also makes it more challenging to harvest, cure and store your garlic. Easy Solution: watch our tutorial and plant tip up! Sow both garlic and shallots root down, tip up. Garlic is ideally planted with six inches between cloves, both in and between rows. 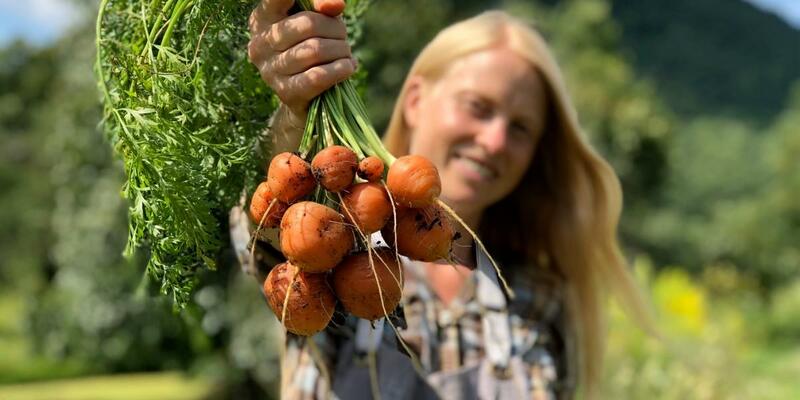 We give a little more space, sowing with eight-inch centers, because we want to limit competition between plants both above and below the ground. Common Mistake: Planting too close. Why? Too close, garlic plants will compete with each other, to their detriment. Their roots compete for the same, finite nutrients. Leaves overlap, competing for sunlight. Plant your garlic with at least six inches between cloves. We plant on a staggered grid, three rows per bed. Planting depth makes all the difference. At a minimum, sow each clove three inches deep and then be sure to spread six inches of mulch or more. If you're not planning to mulch, sow at least five inches deep. Common Mistake: Not planting deep enough. Why? 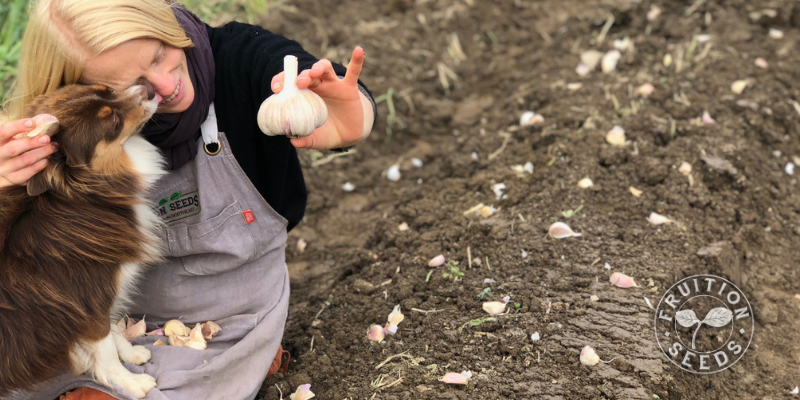 Planted in fall and not growing rapidly until spring, garlic experiences the most dramatic freeze-thaw frost heaving of the season, bringing each clove to the surface if they're not deep enough. 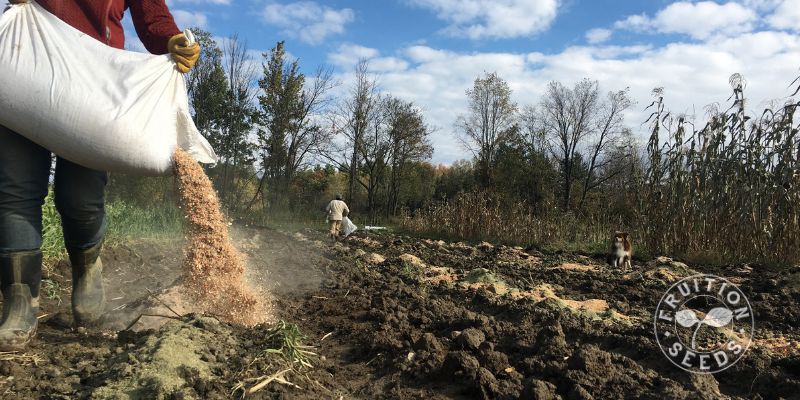 Garlic will tolerate impressively cold temperatures but quickly succumbs to desiccating winter winds at the soils' surface. Easy Solution: Work soil well, so it's easy to plant as deep as you need. If your soil is freshly worked and not too wet, planting three to five inches deep is easy just with your hands. A trowel is perfect to get a few extra inches of easy depth in denser soils. 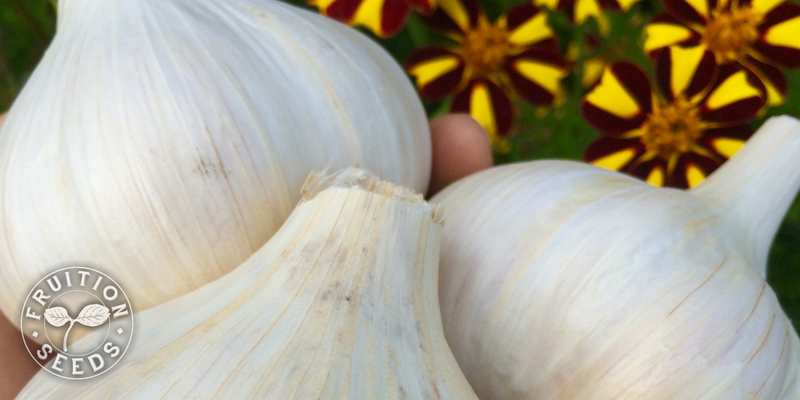 Garlic: To mulch or not to mulch? Until recently, I've always planted garlic and immediately spread six inches (often more!) 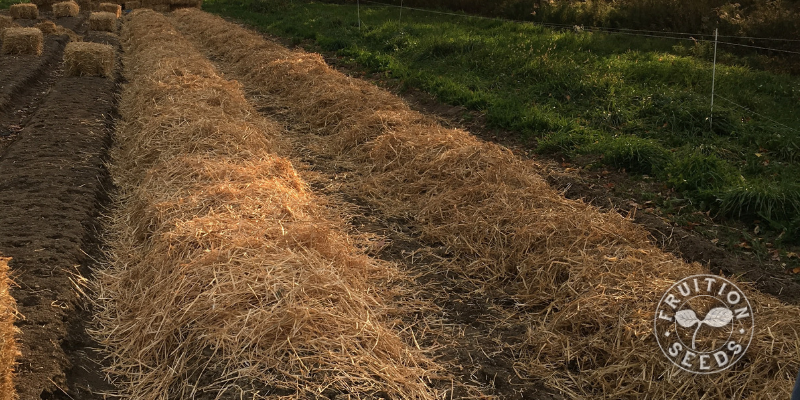 of straw or shredded leaf mulch to cover. These last few years we've been experimenting with other techniques, which have a lot of merit. My favorite mulches are straw, grass clippings, deciduous leaves sent through a chipper/shredder and, believe it or not, moldy hay. Common Mistake: Not mulching if you don't always weed thoroughly or on-time. Mulching too little when you do mulch, resulting in more work and more weeds. Why? Garlic is only an easy crop if you manage it more or less perfectly. It can easily become weedy, whether you mulch or not. The trick with mulch: be sure you're adding a lot, knowing it will decompose and condense, and be prepared to hand-weed a bit and add several inches more mulch once and often twice in spring. Easy Solution: Spread six inches of mulch or more as soon as you sow, spreading more in spring as needed. Spread six inches of mulch or more as quick as you can after planting. Have plenty of mulch on-hand to add more in spring. 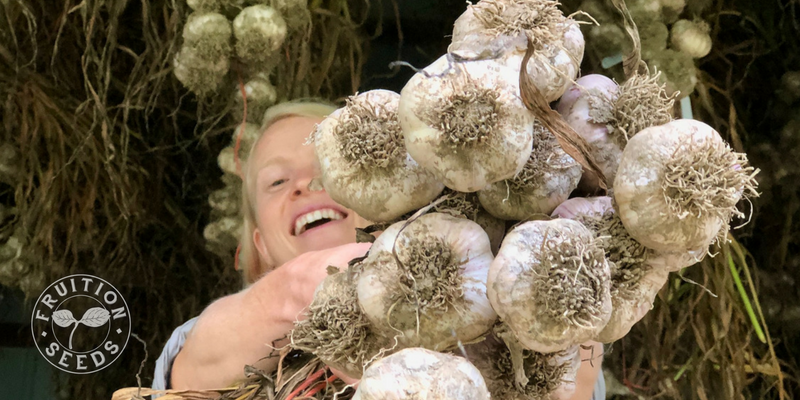 Friends, I'm delighted you're planting garlic this season! 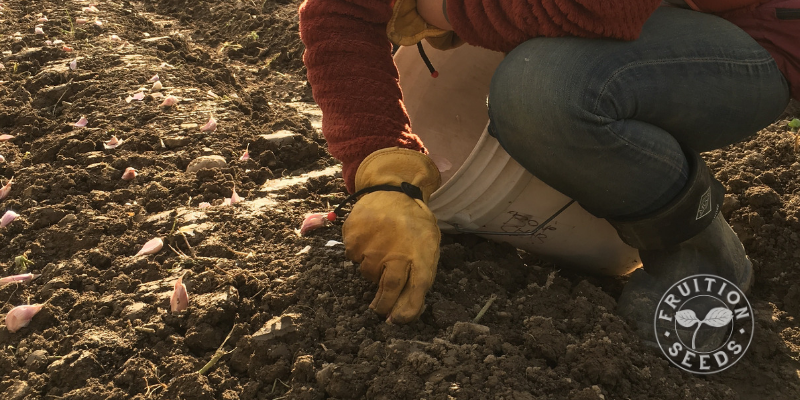 Planting garlic is one of the final things we do each season, a radical act of faith that even as one season ends, another begins. The living link between seasons, between generations.